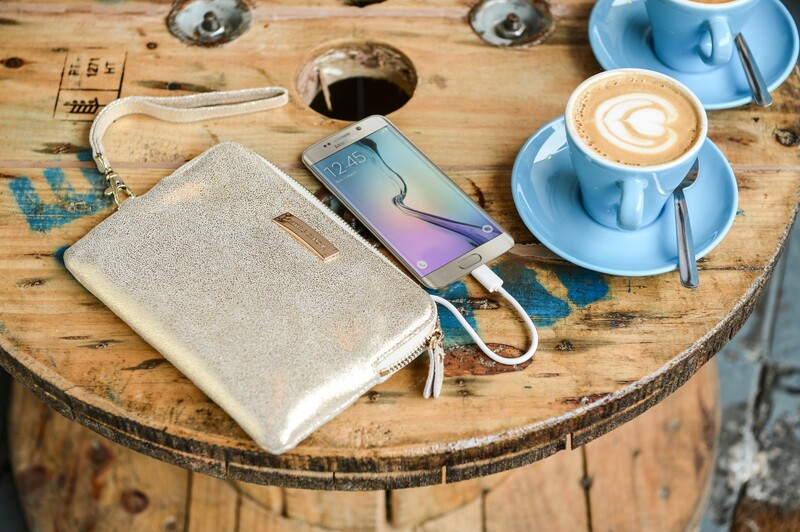 with the newly introduced Power Purse from Smith & Canova; a must-have clutch with a built in power-pack to charge your mobile anywhere, on the go! charge most smart phones and portable electronic devices whilst leaving space for other essential items. power pack – perfect for a busy day in the office, a night out or a weekend away. The Power Purse features a main zip around pocket, credit card sleeves and an internal zip pocket to store cash, cards and of course, lipstick. Recharging an average phone more than twice over – what more could you need?